“Jean-Michel Nectoux's important new biography of Gabriel Fauré is the most comprehensive study yet of this central figure of fin-de-siècle France. It traces the composer's life and the rich cultural milieu in which he lived and worked: the world also of Saint-Saëns, Flaubert, Verlaine, Ravel, Debussy and Proust. 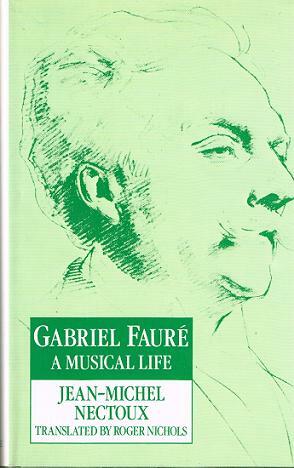 A large part of the book considers Fauré's music, with particular emphasis on his adjustment to the musical language of the twentieth century and the formation of his late style. Works in all genres are discussed in detail. 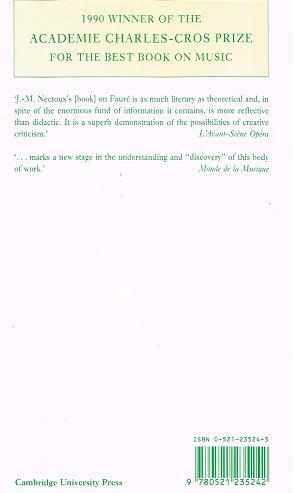 The book is the fruit of over twenty years' research by Nectoux, the foremost authority on Gabriel Fauré. He has read more than 5000 previously unpublished letters and has unearthed more than 120 musical manuscripts in the process of writing this definitive study. The text is richly illustrated with rare photographs from Fauré's lifetime and contains an extended chronology of the composer's life, a complete chronological listing of all his own works and a detailed bibliography.